M: Jackass! (laughs really loudly) That’s hilarious, Daddy! Now, I feel that I should explain this one – and the blame is all my fairy godmother’s fault! She gave the kids this book for Christmas and they *love* it. It’s seriously funny, a definite for any kiddies on your list, and if you don’t like the jackass part (though he really is a jackass/donkey and I also think that part is hilarious!) you can change the word . The pre-readers in your life will never know the difference! 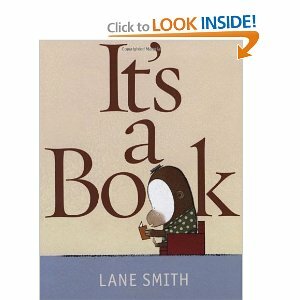 It was a Publishers Weekly Best Children’s Book in 2010 and on the New York Times bestseller list for over 6 months. Anyway, enjoy, then go forth and buy! I bought it tonight! Had to own it. Yay! It’s such a good one! That’s always fun – and you get to hand them back again when they get cranky, the best of both worlds!